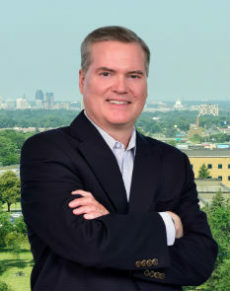 Kevin Rhodes is chief IP counsel and vice president at 3M, a Minnesota-based technology company with over $30 billion in annual revenue and operations in over 65 countries. Before joining in 2001, Rhodes was an IP litigation partner at Kirkland & Ellis in Chicago. He is also the former president of the Intellectual Property Owners Association.